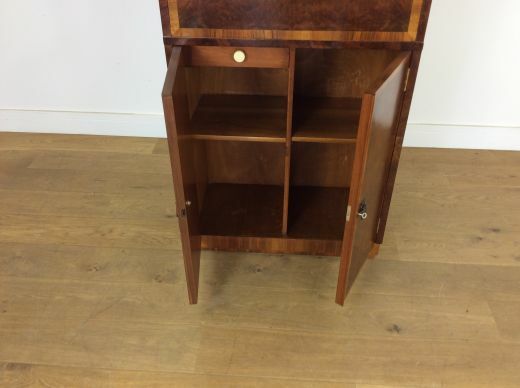 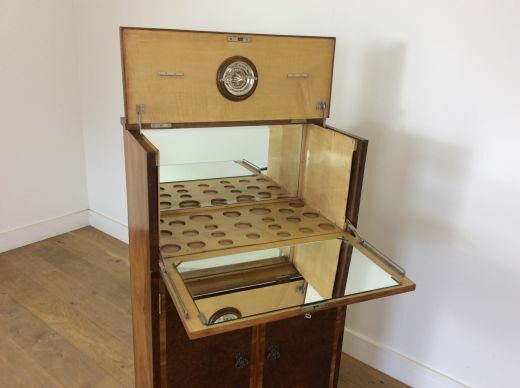 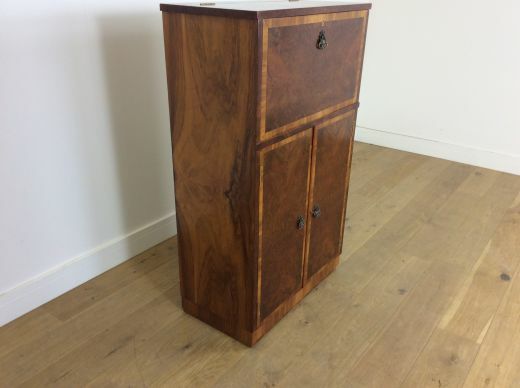 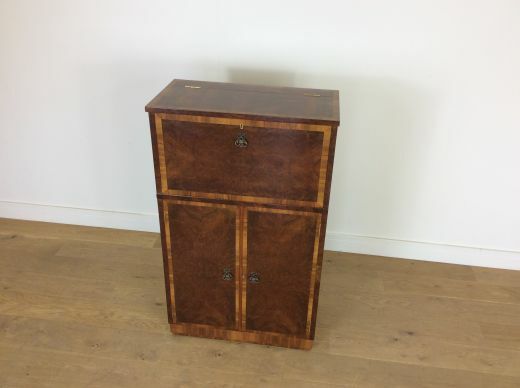 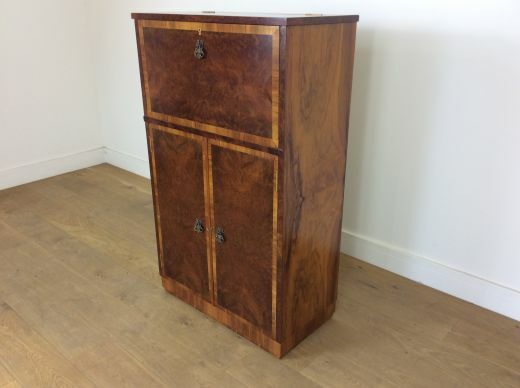 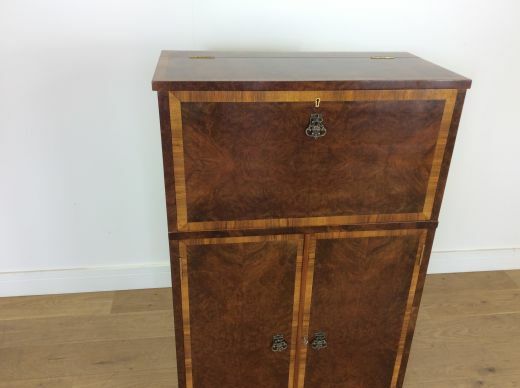 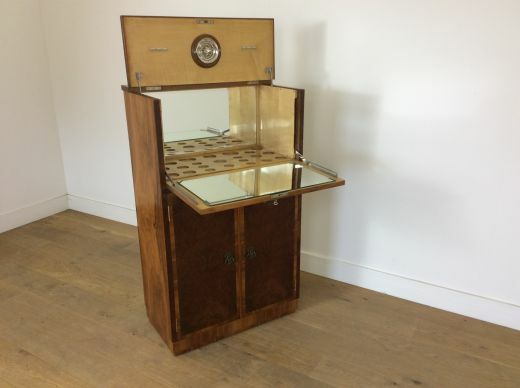 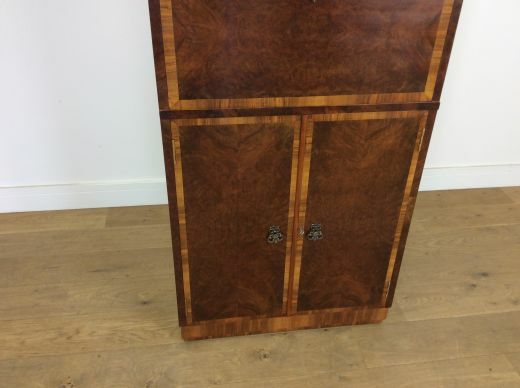 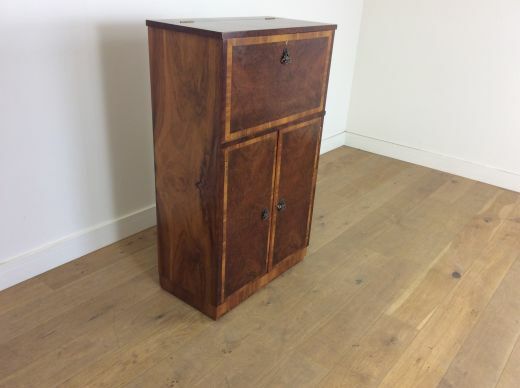 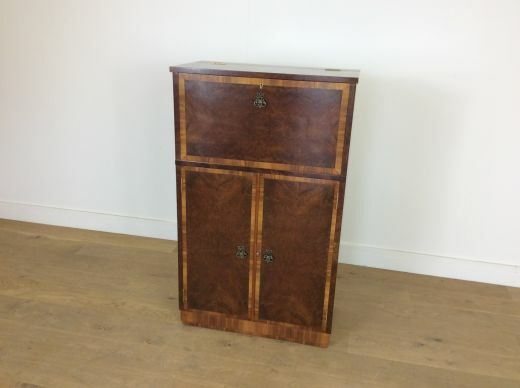 Art deco cocktail cabinet in a beautiful figured walnut. 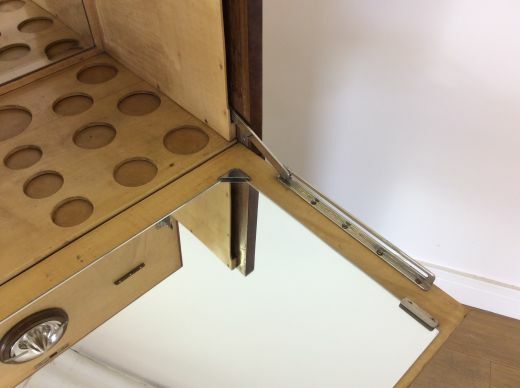 Fall front cocktail bar with mirrored interior, fitted for glass storage, lemon squeeze and cocktail stick. 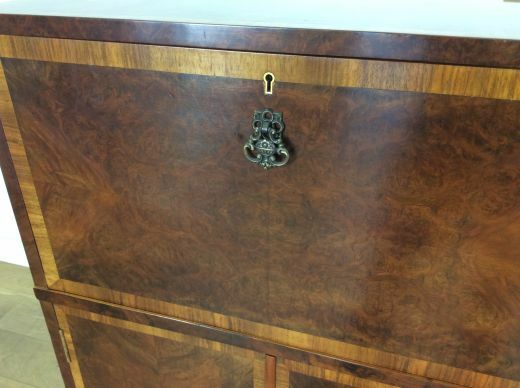 the cabinet in a deep figured walnut with a light walnut trim.